That micro-moments are fast transforming the way consumers interact with brands, is no news any longer. Digital agencies all over are busy trying out new, innovative marketing channels to help brands win those micro-moments and in turn win the hearts of their consumers. Now, a huge chunk of these marketing efforts are focused around location. But in most cases, even the marketing campaigns around location don’t quite make it to the hearts of the consumers. This is where Eddystone comes into the picture. Eddystone allows digital agencies to take marketing campaigns one notch up by allowing brands to engage and interact with their consumers at the right place and the right time. 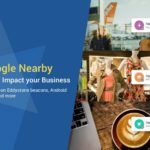 With Android devices reported to be pulling more than 40 billion queries for beacon-related content from Google services every year, the opportunity is really huge. And to top it all, Google’s Eddystone also eliminates the need for brands to have a brand-specific app to engage with their consumers (using beacons). Our upcoming webinar ‘How Eddystone Can Be The Most Powerful Tool For Digital Agencies in 2017‘, is focused on helping agencies understand how Eddystone works and why it is a great tool for marketing. From learning in detail about how Eddystone can help you maximize ROI, to how brands are leveraging it successfully, to the latest examples on Eddystone campaigns, this webinar will set you up for success. Update: This webinar has ended. You can check out the slide deck to learn more about some of the very interesting questions that we had received from our attendees.